Every marketer has tools they use to make their everyday that much easier! I have three tools I use on a daily basis. Each of these tools have very different goals and uses- one helps you grow your social media presence by finding and connecting with people with similar interests, the next is an all in one management tool, and the last one is a scheduling tool to help save time when you need keep a consistent social media presence. This all in one tool helps me everyday to do some of the cleanup involved in my social media job duties. This is one of the best tool’s i’ve found to help manage any Twitter account, and best part is, the free tool has more than enough helpful features! Within Tweepi you can quickly follow & unfollow users, follow lists, and so much more! Identifying influencers and through leaders is so important- especially when they have fantastic and relevant lists built within their Twitter account. I typically go through and follow users and lists as often as I can. Keep in mind twitter maintains limits of how many you can follow and unfollow within a certain day- so a good rule of thumb is no more than 1,000 a day! This life-saving tool is so helpful for those of you who don’t always have time throughout the day to update the world with your 140 character thoughts! 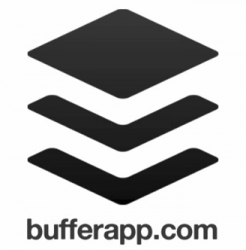 Buffer lets you download a icon which lives on your browser’s toolbar which allows you to quickly create tweets as your searching the web. It connects with your Twitter, Facebook, and LinkedIn account allowing you to have a consistent social media presence all week long! The upgraded version ($10 a month) allows you to connect up to 12 social media networks and set set-times to optimize your messaging. The free version maxes out at 10 messages, and allows you to set up to 4 posting times, and also provides full analytics.